Fans watch a fireworks show after a RoughRiders baseball game at Dr Pepper Ballpark in Frisco, Texas. As millennials age, it’s not a question of whether they will settle down. It’s a question of where. After all, the generation long chided as eternal renters is finally buying houses of its own. Of all the homebuyers in the U.S., more than a third were millennials in 2017, according to a study by the National Association of Realtors (NAR). But they aren’t buying in the cities they’ve called home for over a decade. While millennials still prefer to rent in urban centers, those who want to own a home are packing their bags and moving — largely to the suburbs — when the time comes, according to an NAR report. A couple strolls through downtown Rogers, Ark. It’s not lifestyle choice that’s driving buyers from big cities, says Susan Wachter, a professor of real estate at the Wharton School of the University of Pennsylvania. It’s a matter of affordability. 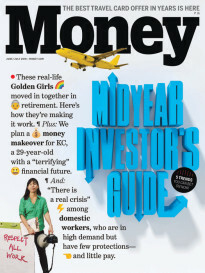 Whether you’re a millennial in the market for the first time or just looking for a thriving spot to resettle your family, MONEY wants to help. The top 10 list follows; or see MONEY’s full 2018 ranking of the Best Places to Live in America. When we crunched the numbers for this year’s Best Places to Live ranking, we (as always) valued locales with good schools, flourishing economies, vibrant communities, and low crime. We teamed up with realtor.com to leverage its knowledge of housing markets throughout the country. We sought out diversity, taking note of the economic and cultural benefits it gives a community. And we added a new metric that directly compares home prices with income—emphasizing the kind of balance that makes a community a good fit for working families. As you’ll see, the top 50 spots are not filled with New Yorks and San Franciscos, even though we considered any U.S. city with a population of 50,000 or greater. As it turns out, the best places to find a job, buy a house, and settle down are large suburbs or small cities where the cost of living is proportional to income. Sailboats are available for rent at Bond Park in Cary, N.C.
Take, for example, this year’s top spot: Frisco, Texas. What was once a tiny rail town had become the fastest-growing city in the U.S. by mid-2017, according to the Census Bureau. While there’s a lot to love about Frisco, part of its appeal is the city’s relatively low cost of living compared with its higher incomes and booming job growth. A typical Frisco family could pay off a new home in less than half the time it would take a Bostonian one to do so. Of course, we all have different values, and Frisco won’t be the perfect fit for everyone. If you’re considering a move, we hope this ranking, filled with towns and cities that offer jobs, affordable living, and community, give you the tools you need to find your perfect place.